We’re having a Pack-a-Pannier special in the shop! That means every Wednesday and Thursday in August, pack a pannier with accessories and take 20% off the bag and everything in it. If you’re reading this, I can bet we have two things in common: 1) You ride a bike, and 2) You have stuff. Unfortunately for us, riding bikes and carrying stuff is not always the easiest or most comfortable endeavor. Backpacks and messenger bags become heavy (and sweaty), baskets do a terrible job of keeping out the rain, and grocery bags on the handle bars? I’ll tell you, it’s not something you’d want to try more than once. So, what is a stuff carrying bicycle commuter to do? Try a pannier (pronounced: pan-yer or ‘pæn.?.? or ‘pæn.i.? 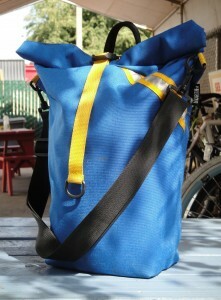 or Rack Bag) by North St. Bags!! 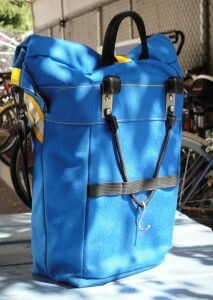 Panniers are a fantastic way to carry your load. They take the weight off your shoulders, giving you a lower center of gravity (more balanced! ), they are convenient to use both on and off the bike, and they endow their user with a very sharp, functional chic. 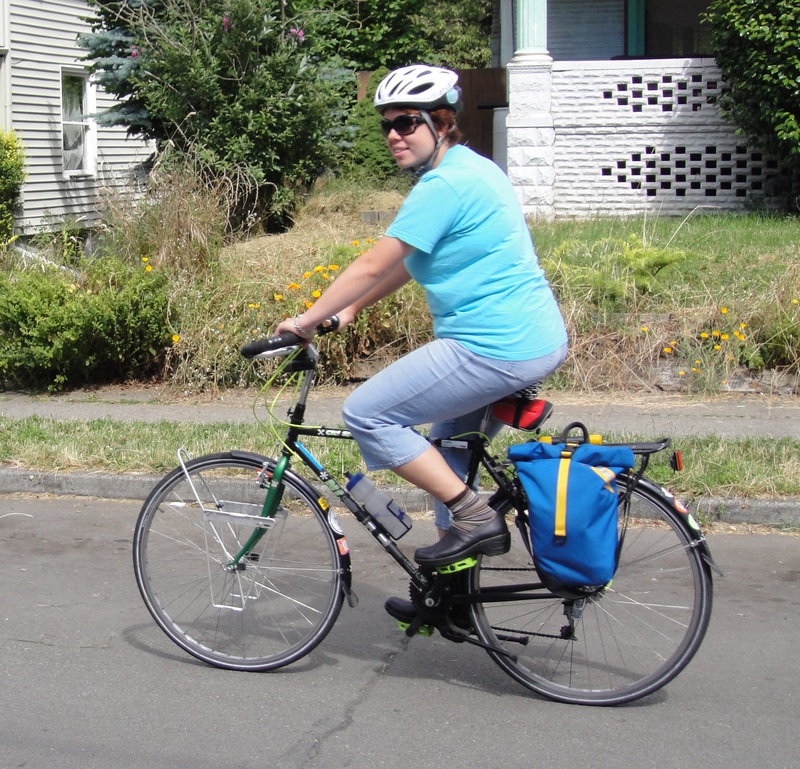 North St.’s Route Seven Panniers are made here in Portland. They are extremely durable, waterproof, stylish, and well-finished. The mounting mechanism, though simple, is very strong and subtly sophisticated—it keeps your bags both well positioned and secure. Furthermore, unlike many panniers out there, North St. makes minimal use of plastic hardware and, because of their simple design and heavy canvas exterior, repairing these bags both at home and on the road would be a cinch. But why even bother doing that? North St. bags come with a lifetime guarantee against all manufacturer defects! So, they’re durable, waterproof, well-designed and locally made? One would expect these Portlandishly chic bags to come with a price tag to match, but these bags are in fact some of the least expensive, fully waterproof bags on the market! At $65 for a single small, or $75 for a single large pannier, they are cheaper than similar bags, sold in pairs, made by both Axiom (China) and Ortlieb (Germany). And, because you can purchase these bags individually, rather than in pairs, you can choose what quantity is right for you based on your personal budget and stuff-carrying-needs. $38 ($26 Planet Bike Eco Rack + $12 installation labor).